As a mathematics coach one area where I was constantly tapped for support was problem solving. Problem solving is an area in which not only students struggle, but teachers have difficulty teaching. The complexity of problem solving requires engaging students to make sense of a problem before they set out to solve it. 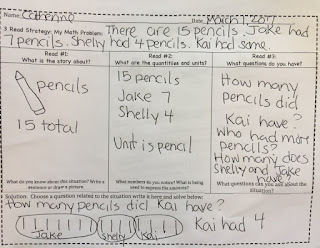 What typically occurs in a math classroom is students read the problem and simply apply the latest skill they have been learning about using all numbers they explicitly identify. This approach fails to recognize that problems have quantities that are both explicit and implicit and problems have situations in which students need to identify relevant information. What are the explicit quantities in the problem below? What are the implicit quantities? There are 16 Pokemon cards Jake has 6 Pokemon cards. Braeden has 8 Pokemon cards. Cullen has some cards. There are numerous approaches to problem solving, but one where I have found great success is the 3-Read strategy. This approach defuses students instinct to rush to an answer and provides a means to deepen their understanding of the situation and the mathematics. Let's try the Three Reads Approach. Read #1: Choral Read the problem and have students draw an illustration or write a sentence about what the problem is about. Read #3: Choral Read or Partner read and have students record questions they have about the situation. 3 Reads provides students with multiple opportunities to understand the problem and to unpack language so they can focus on identifying the quantities in a problem and the relationship to each other. It also personalizes the learning experience so that students can make their own connections and solve in ways that support their understanding. This is especially important for English language learners as comprehension is a common barrier to problem solving. Finally this approach allows students to engage in problem solving while developing a mathematical mindset to do so. 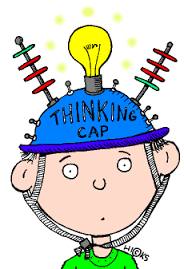 The use of a graphic organizer becomes a built in formative assessment tool for the teacher to have an understanding of what a student knows and does not know. Moreover the 3 Reads approach provides the teacher with an opportunity to scaffold instruction while guiding the student in the problem solving process. Are you using the 3 Reads approach in your classroom? What is working and what modifications have you made to support student understanding? Leave a comment below and you'll receive the 3-reads graphic organizer.